As anger against the TSA has mounted, many have wondered if activists will be specifically targeted in an attempt to scare and intimidate them. 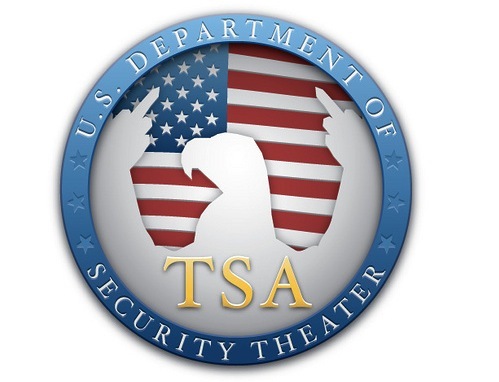 No subject has been bigger than the gulf disaster and it looks as one of the groups who exposed the extensive use of Corexit9500 in the gulf have fallen victim to TSA tyranny. When Matt Smith, Gavin Garrison, and Heather Rally of Project Gulf Impact arrived at Ontario Airport in California Tuesday evening to board a plane headed back to the Gulf of Mexico, all three of them were pulled aside by TSA agents and patted down. Coincidentally, they were the only three people pulled out of the security lines. When Matt informed him that it is perfectly legal to film in a public place, the TSA agent radioed in his supervisor. When the supervisor walked over to Matt and Heather, he informed Matt that it was a FEDERAL OFFENSE to film security in airports. When Heather and Matt challenged this, he grew increasingly angry. He continued repeating that it was a federal offense yet when he was questioned about the law he was unable to provide an answer. We now live in a country where traveling American citizens are subject to a Stasi type TSA that believes that it completely legal to fondle attractive women’s breasts yet illegal to film their intrusive security procedures. These procedures are much more than Orwellian scanners; they are being used to break the will and spirit of the American people. If the government is able to to force the public into accepting these intrusive measures than society as we know it will come to an end. To top it off, Janet Napolitono is openly declaring that TSA is coming to a mall and hotel near you, all in the name of stopping cave dwelling ninjas who can apparently stay out of the sights of every single intelligence agent in the CIA and still find time to make an Internet video calling for the killing of American and Israeli citizens.